01st April 2018, Easter Sunday changed our lives completely, when dad suddenly felt breathless. 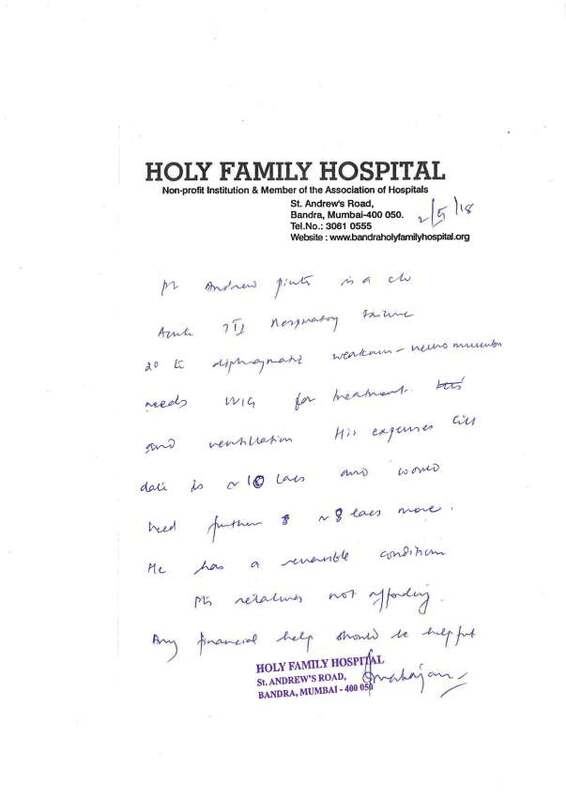 We admitted him to the ICCU at Holy Family hospital, Bandra. After a day, we were informed he was detected with Pneumonia. Further to which, the doctors found water collected in his lungs. We were told to perform tapping to remove the water from the lungs. He was still on a Nebulizer to improve and help his breathing. 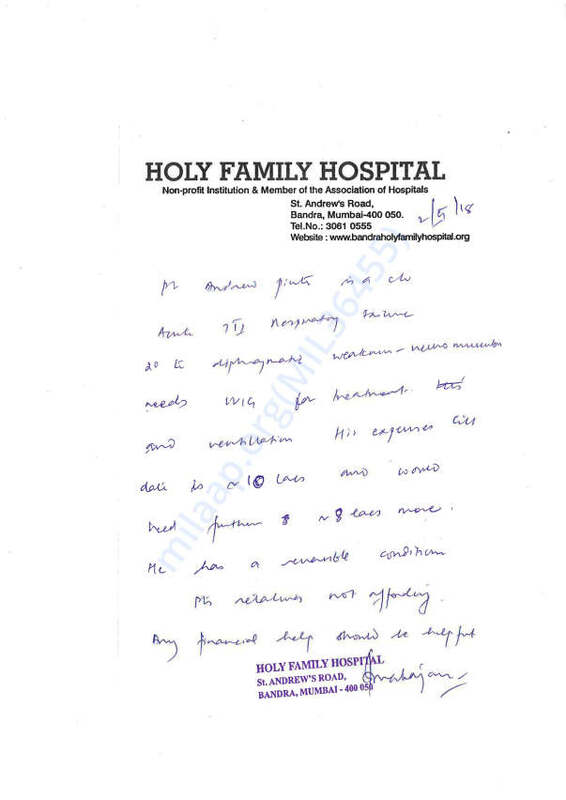 After a few more tests, we were informed he also has Peripheral Arterial Disease, which was narrowing arteries in his body not allowing blood to flow to all muscles causing unbearable cramps in his feet. After a week in the ICCU and trying to get him off the Nebulizer for a couple of hours a day, dad took serious and we were told either to shift him to the Ventilator or Heaven will take him away. We had to make the hardest decision and put him on the ventilator. For 3 days he was unconscious. On further testing, they discovered, he had developed Left ventricular hypertrophy, which causes the left ventricle of the heart to work harder, the muscle tissue in the chamber wall thickens and loses elasticity and eventually may fail to pump with as much force as needed. Things were just getting complicated by the day and not one proper diagnosis was being reached. Three weeks ago, the doctors informed us this could be Myasthenia Gravis or Diabetic Phrenic Nerve Palsy. Myasthenia Gravis, causes the immune system to produce antibodies that target healthy cells, potentially life-threatening respiratory impairment. All possible tests for Myasthenia Gravis have been done but the reports however came back negative which gave us a bit of relief but upon meeting the doctor he confirmed it could be LEMS (Lambert–Eaton myasthenic syndrome) a sickness that is so rare that it occurs in 1 in every 250000 people. Our hopes were so shattered but we were given hope saying that it wasn’t confirmed but dad had almost every symptom. 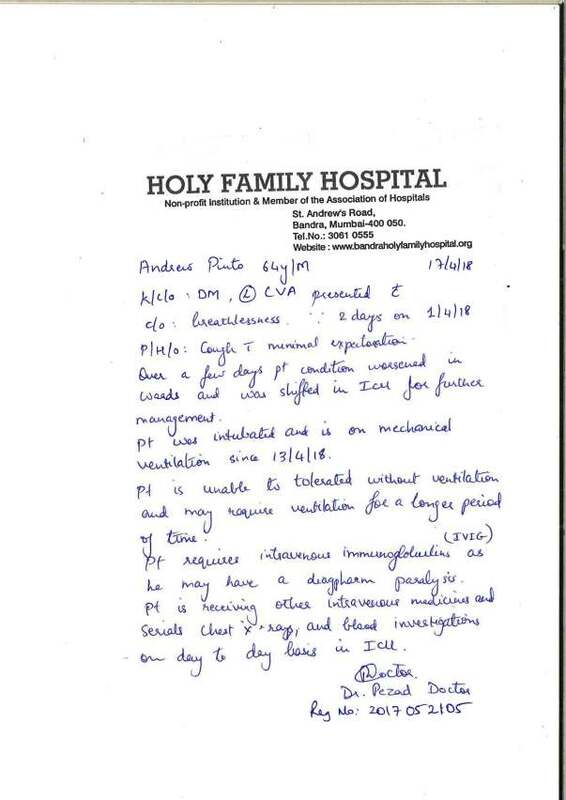 Finally last week we were told we need to carry out the IVIG treatment, (intravenous immunoglobulin an expensive intervenes - INR 12,000 per 5mg a bottle for 5 dosages a day for a period of 5 days), as that will help as a boost and will get him better. Despite the IVIG he is still not able to breathe by himself and requires the ventilator support. It’s been 5 days since the IVIG has started but dad’s condition is like a roller coaster. He will continue to need prolonged ventilator support as his body is still not producing enough oxygen as the CO2 levels are very high. Also the IVIG takes around 2 - 3 weeks to show signs of progress. If this doesn't work, steroids will be given, which will have a few side effects and may cause infections. If that doesn’t work, the final diagnosis will be Diabetic Phrenic Nerve Palsy. The Only treatment to this is self-recovery via the ventilator which is a long road of around a year. All of the above costs till date have worked to INR 10lacs, we have used all of our life savings which is around INR 8 lacs, Borrowed from friends and family another INR 2 lacs. 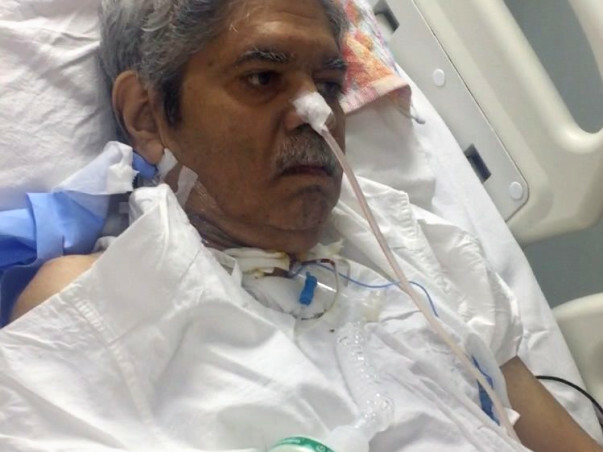 The doctors have said this will cost an estimate of another 8-10 lacs as he requires a prolonged stay in the ICCU and maybe more medical treatment. We are pleading for all the help we can receive. We are desperate for any help. Your contribution will give us the miracle that will save our family. Thank you for your love and support. It means a lot to us. Dad is still on ventilator, however we will be shifting him home this week for further medical treatment. We shall be withdrawing funds in order to pay for his hospital bills. Thank you to each and every one of you who have helped us through this trying time in our life. Thank you for all the Love, Support shown to Dad and us, his family. Words cannot express how much this means to all of us. God bless each and every one. Once again, thank you for making this possible. I couldn’t have asked for a better way to begin this fundraiser for Dad. Andrew Pinto. Thank you for all the Love shown, and the continuous prayers and support towards my family. Do continue to keep him in prayer for his speedy recovery. Get well soon uncle !!! !